The FAM FLICA™ Caspase 8 kit uses a quick and easy method to analyze active caspases in apoptotic cells. Once reconstituted, the 150X FLICA™> stock should be stored at -20°C protected from light. Rébé C et al. 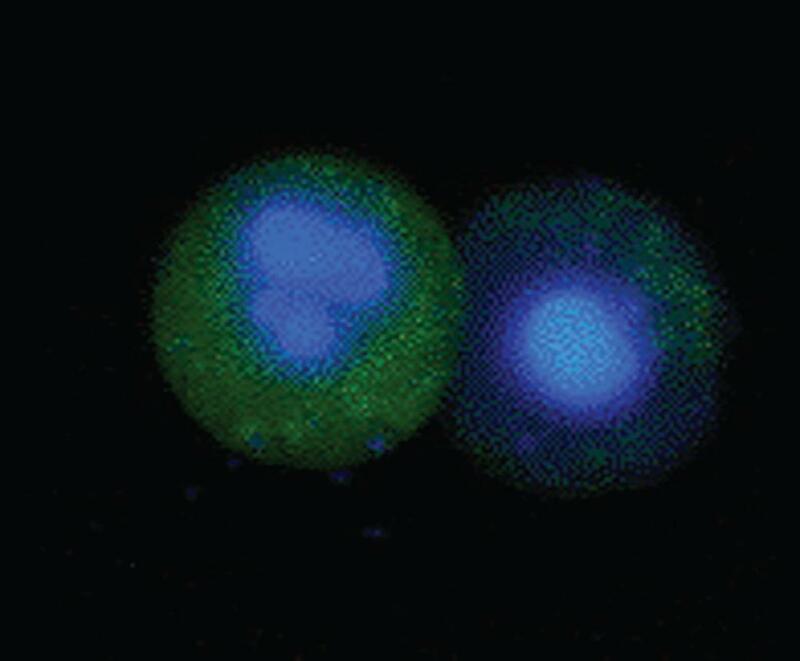 (2007) Caspase-8 prevents sustained activation of NF-kappaB in monocytes undergoing macrophagic differentiation. Peppa, D. et al. (2013) Up-regulation of a death receptor renders antiviral T cells susceptible to NK cell-mediated deletion. J Exp Med. 210 (1): 99-114.